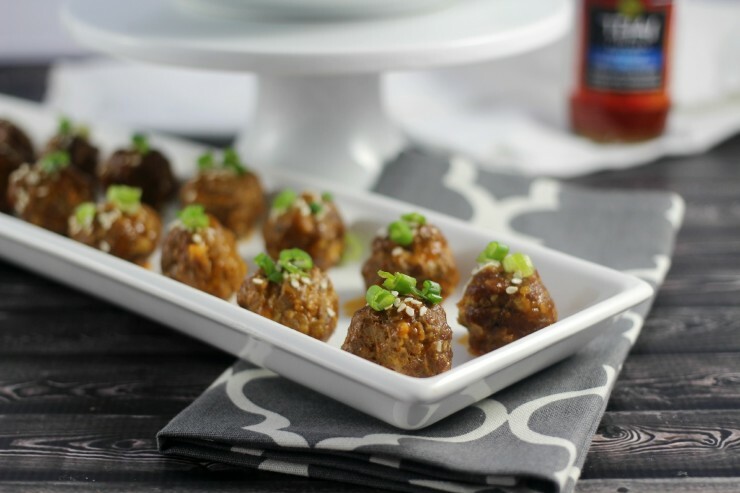 Thai Cocktail Meatballs - Frugal Mom Eh! 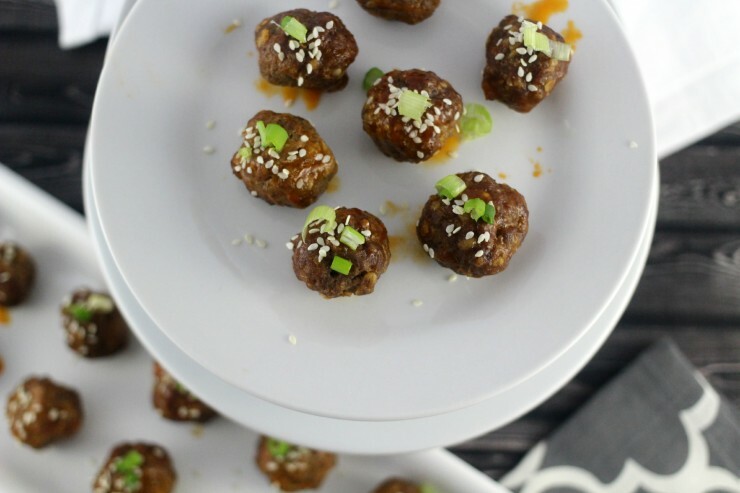 Cocktail meatballs are a staple at get-togethers and potlucks, and these Thai-inspired Cocktail Meatballs are a delicious way to change things up. The complex flavours, provided by the curry paste and fish sauce, are beautifully completed by the pineapple and chili dipping sauce. 1. In a large bowl, combine the egg, oats, beef, curry paste, fish sauce, salt and garlic. 2. Set the mixture aside for 5-10 minutes and preheat your oven to 325ºF (160ºC). 3. 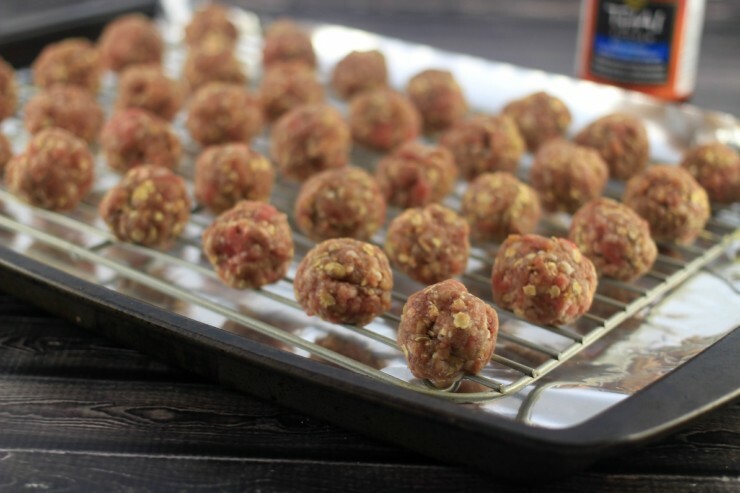 Form the mixture into tablespoon sized meatballs and place on a cooling rack sitting on a foil-lined baking sheet. 4. Bake the meatballs for about 24 minutes, or until just done. 5. Pour Pineapple and Chili Dipping Sauce into a large skillet over medium heat. 6. 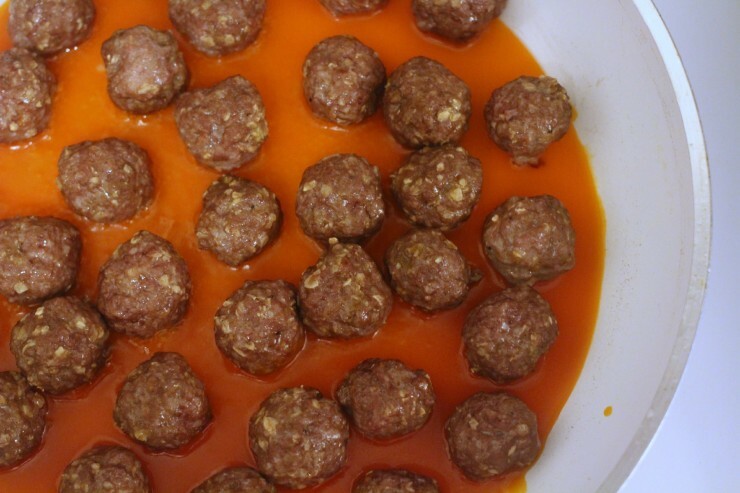 Place the meatballs in a single layer in the skilled with the sauce and toss to coat each meatball. 7. Transfer to a serving platter and garnish with green onion and sesame seeds. 8. Serve while still warm. In a large bowl, combine the egg, oats, beef, curry paste, fish sauce, salt and garlic. Set the mixture aside for 5-10 minutes and preheat your oven to 325ºF (160ºC). Form the mixture into tablespoon sized meatballs and place on a cooling rack sitting on a foil-lined baking sheet. Bake the meatballs for about 24 minutes, or until just done. Pour Pineapple and Chili Dipping Sauce into a large skillet over medium heat. Place the meatballs in a single layer in the skilled with the sauce and toss to coat each meatball. Transfer to a serving platter and garnish with green onion and sesame seeds. 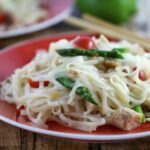 I’m thrilled to be taking part in the Thai Kitchen Canada’s Season 2 #TKEveryday Recipe Challenge along with 4 other Canadian bloggers. 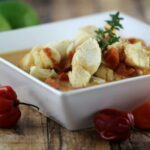 VOTE for this recipe to enter to win $4000 in prizes including an amazing Gordon Ramsay Cookware Set valued at $1500! 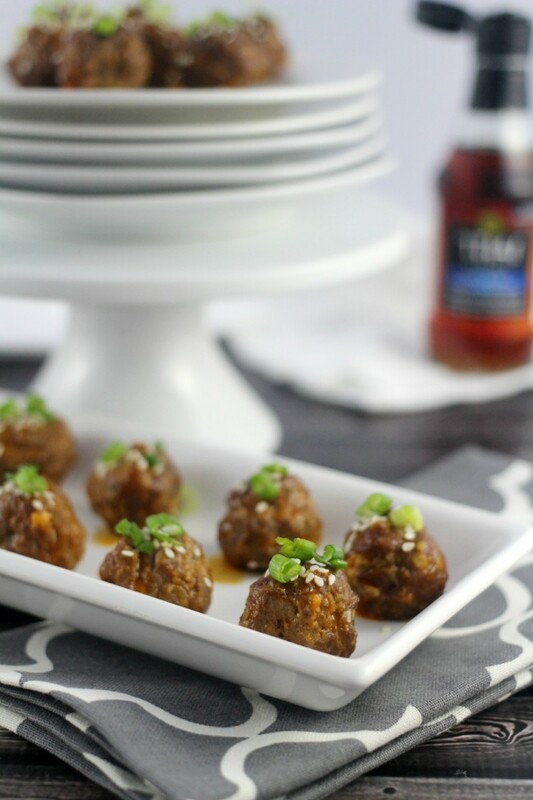 Vote for my Thai Cocktail Meatballs! Good luck! 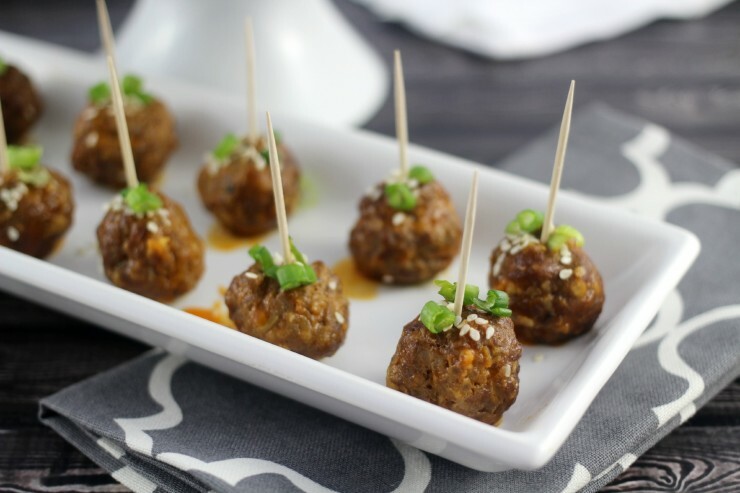 We love meatballs and this is a great combination of flavors to try. Great as a meal or appetizer. Your photos are really nice too. These look and sound great! Would be nice to find a new recipe for cocktail meatballs than the one I have been using for years so I will have to try this recipe out! Meatballs are always a favorite at Potluck and other meals . The above recipes for Thai meatballs sound delicious and may soon be added to our favorite recipes. My husband loves homemade meat balls, this sounds good and so different. Cocktail meatballs are a staple of pretty much every party I have ever hosted. I like your take on them. Those look really good. My daughter tasted some meat balls at a party and has been begging me to make some. Thanks for this yummy looking recipe. These look so good! 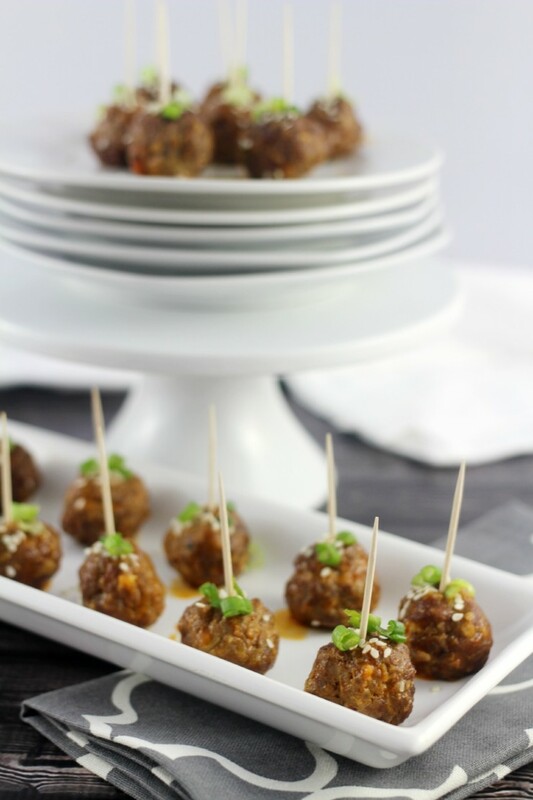 Meatballs are the best snack/party food/appetizers our there, in my opinion. Meatballs! Nom nom nom! I love meatballs. They’re prefect for just about any occasion. Anytime you serve meatballs, you’re instantly the super hero of the party. They’re always a hit! I love meatballs! I’ve never had Thai food before but I’d love to try these! These sound delicious! They’re a lot different than the meatballs I usually make, so they’re perfect when I want to try something new. I’m literally drooling over your photos in this competition – this one too. Looks delicious, will have to try this soon! That’s such a good idea!!! That sounds like a great take on meatballs! I’d love to try them out myself! This looks like a great meatball recipe. I will have to make some this weekend for my daughter. Meatballs are her favorite. What a beautiful presentation! Just the thing for my Girls Club when they visit my home! 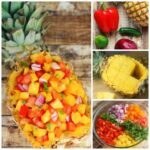 These sound delicious and really flavourful! Oh these sound great!! We like to have a meal once a month with all appys – this is so going into the few we do all the time! 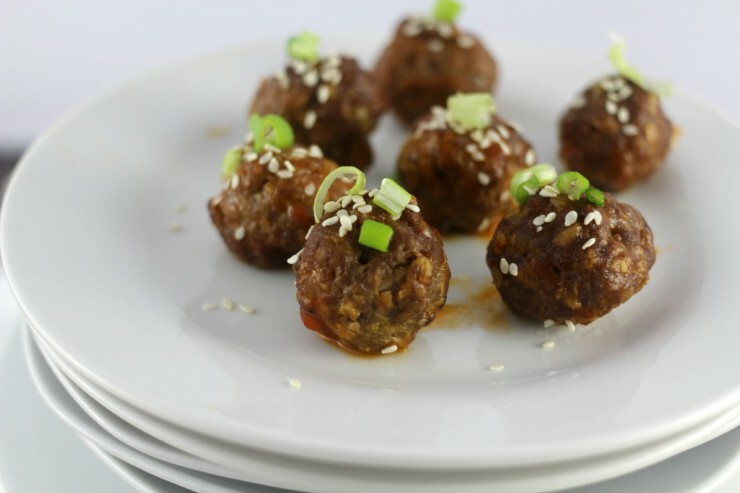 These sound like they’d go good with some rice noodles for a twist on spaghetti and meatballs. Chicken and pork would be a nice alternative to beef as well. Never tried making Thai meatballs. Looks like a delicious appetizer! Meatballs are always a favorite at our house. These look so delicious.I am going to try them soon.Thanks for the awesome recipe. 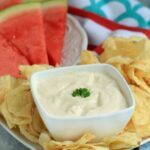 This will be great to make for a small party I am going to on the weekend.